Have a good time playing this fun game of the Minions. They have to bust all the tiles playing Jewel's game. Use the mouse to drag the objects so that they line up three or more of the same object to be destroyed. 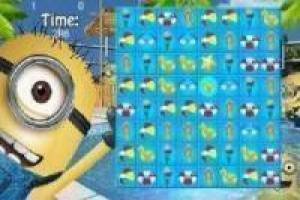 This fun game can be made from any device: Smartphone, tablet and PC. 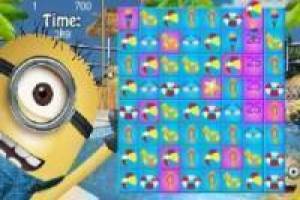 Dare and click this game, bust all the equal figures of the yellow characters in the shortest possible time so you can advance level. 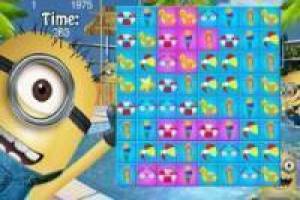 Enjoy the game Minions Match It, it's free, it's one of our minions games we've selected.